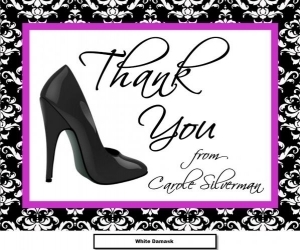 Make a fashion statement with our shoe thank you note cards! Choose from two card styles: flat or fold. Flat starts at $1.25 for 30 cards; fold note cards are additional .30 per card. Quantity discounts apply for both styles - simply add the quantity that you are interested into the basket to calculate total costs. 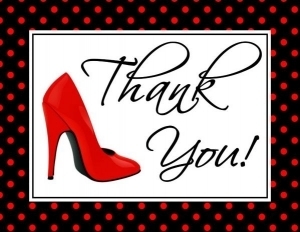 Thank You Notes measure 5.5" x 4".